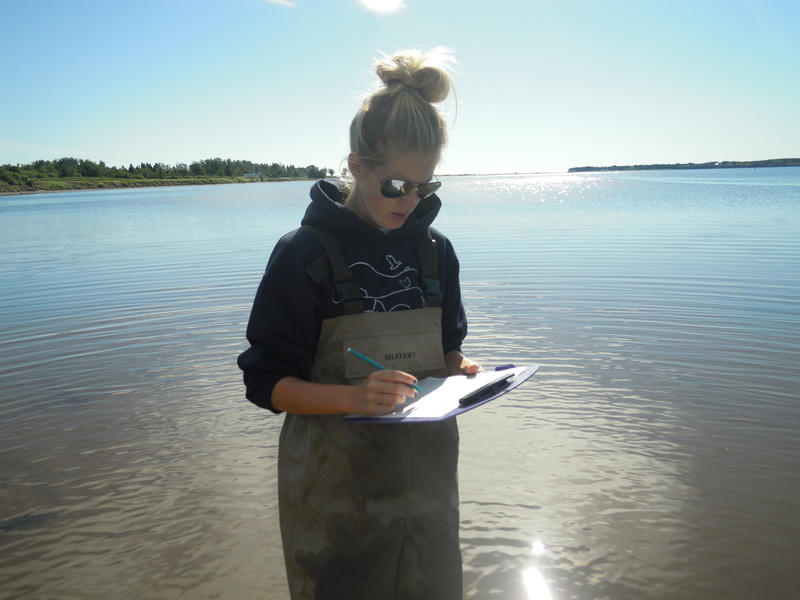 Each spring, we collect important data that helps to monitor the present health status of Bouctouche and Cocagne estuary. 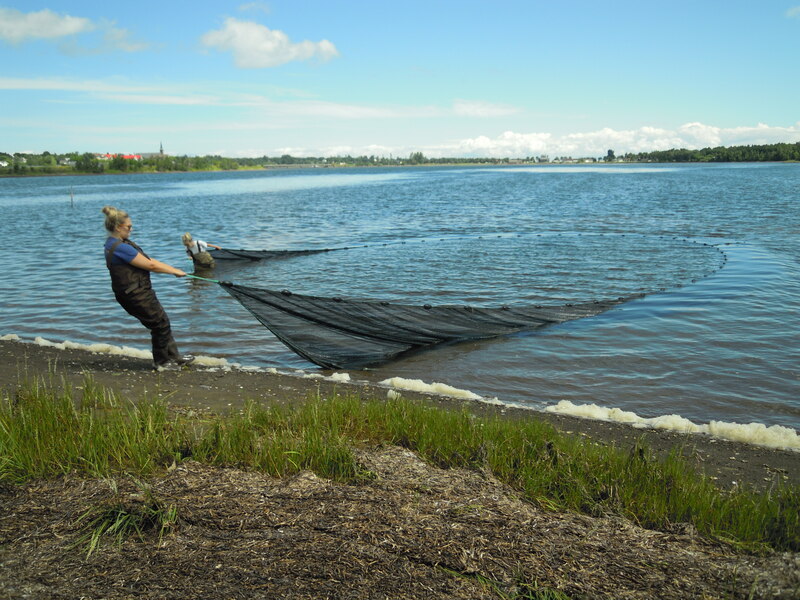 Scientific procedures require that the program replicate the sampling regime at each site and estuary location each year. 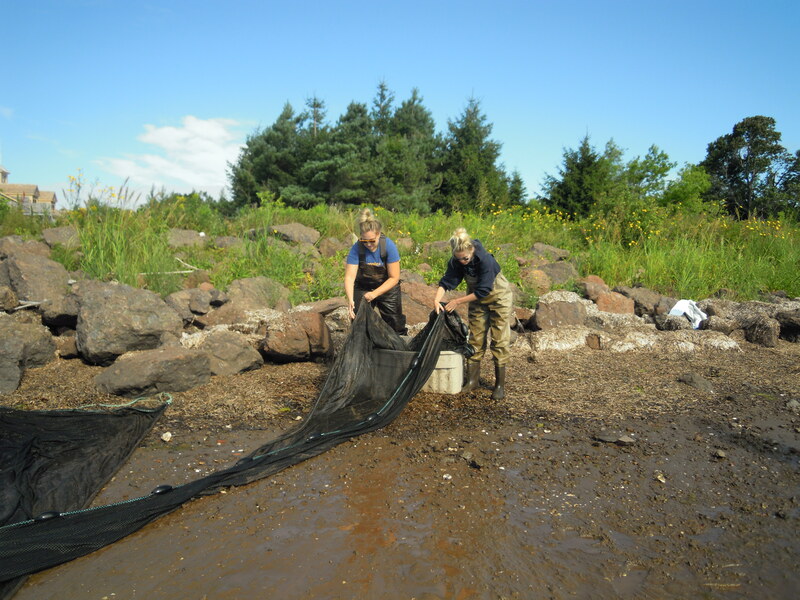 From May through September, community group members and staff sample 6 stations monthly in their designated estuary. 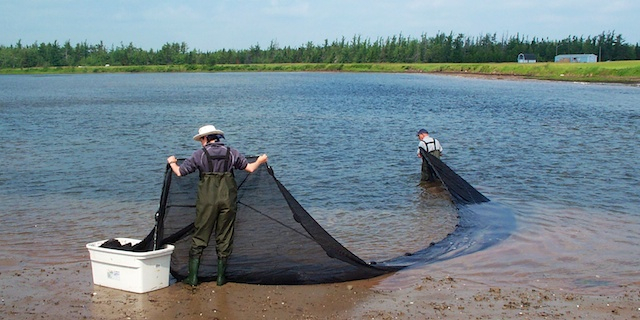 Biological data is collected with beach seines that capture and later release live, small fish and crustaceans. 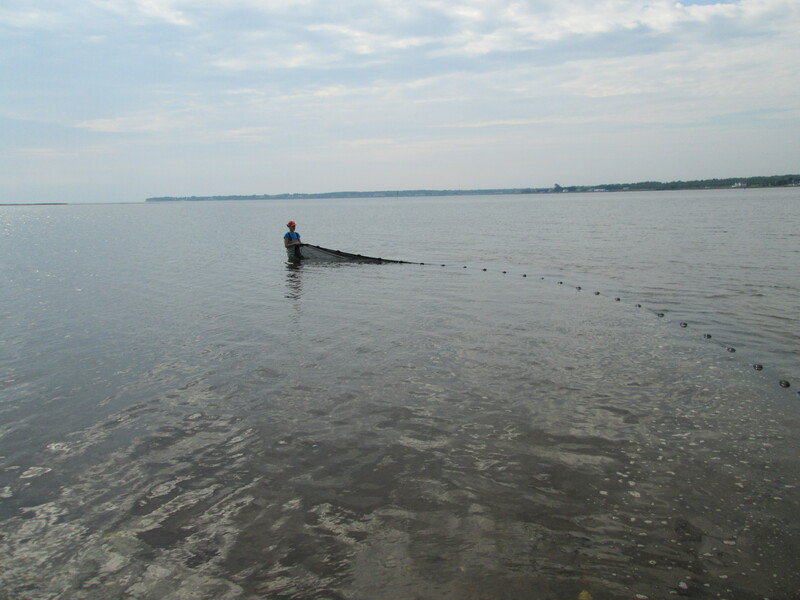 From this, the community groups provide important information, such as: identification of fish and crustacean species; numbers of fish and crustaceans; water temperature, salinity and dissolved oxygen; general aquatic vegetation profiles; sediment samples and water samples. 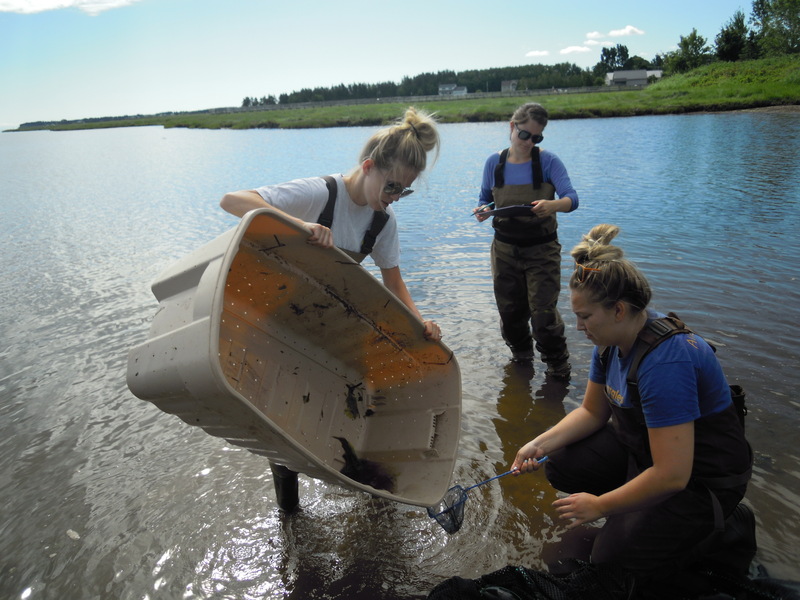 With this information, scientists working with government agencies and universities can undertake nutrient analyses, organic loading assessments, and changes in of the aquatic community structure. 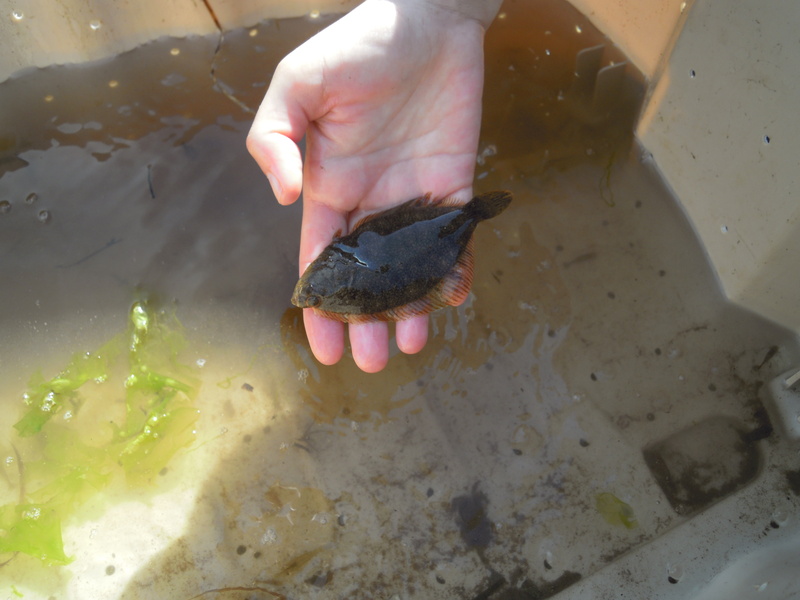 With this in hand, identification of cause may be determined and actions put into place to mitigate potential negative impacts.